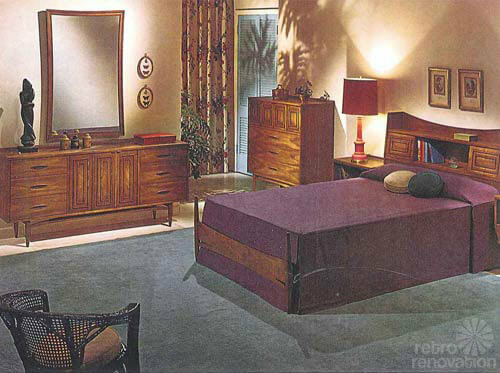 I was able to get a Brasilia bedroom set off craigslist a few weeks ago. 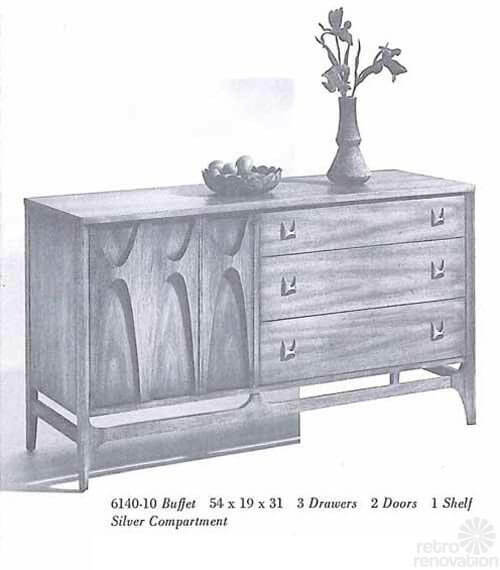 6 drawer low dresser, tall dresser, 2 commodes, and king size headboard. 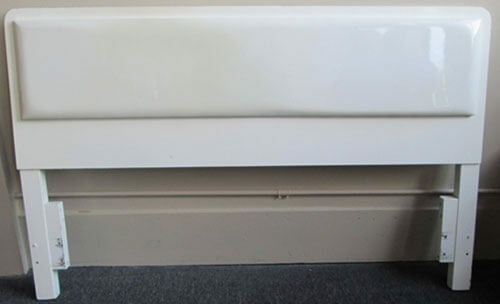 One commode is in terrible shape, everything else is good to very good condition. I love this set. 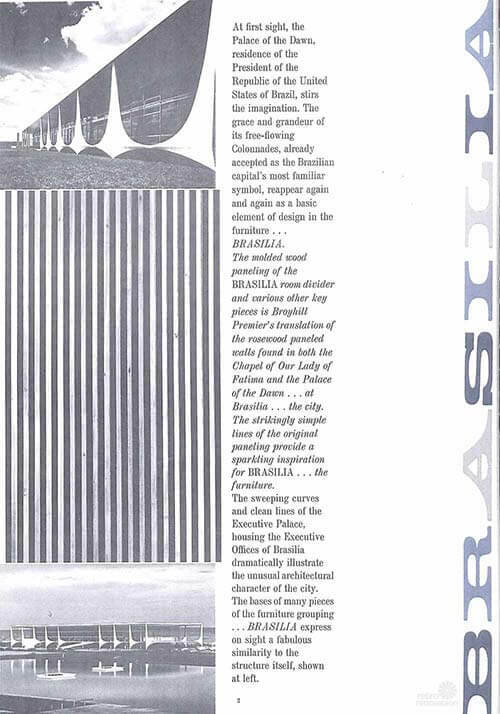 When I first saw the Brasilia line I thought it was a little too busy, but the more I saw of it the more I liked it. When i saw it on CL I was ready to jump. Now that it’s in my house I don’t think I can part with it. What are my best restoration options? I got Howards Feed’n’wax to use on everything. 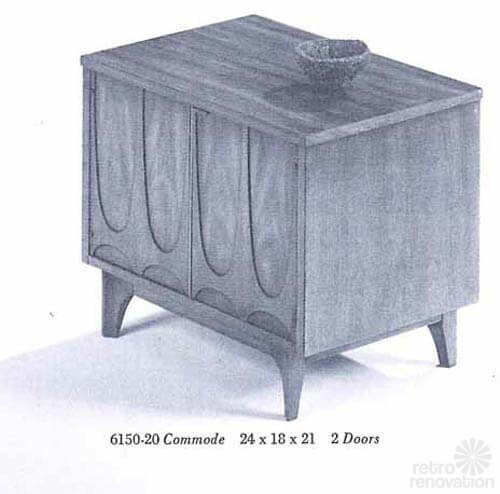 I am thinking about using the walnut restore’a’finish on the commodes (and maybe other pieces if it comes out well), but one commode needs a complete strip down on the top already anyway. Has anyone tried to match a new finish to the original? 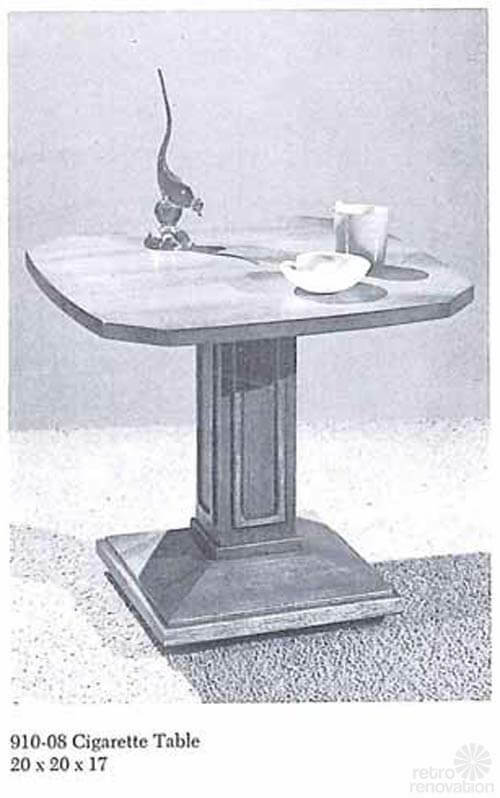 I have used the Restore-a-finish and feed’n’was on several Brasilia pieces. It can really bring the pieces back to life, but it’s not a permanent fix- as in you have to keep going back and reapplying every 6 months to a year I guess? There is a couple, they used to be based in Northern Va, but now I think they have retired to Florida, and they run brasiliaconnection.com, selling on ebay, etc. 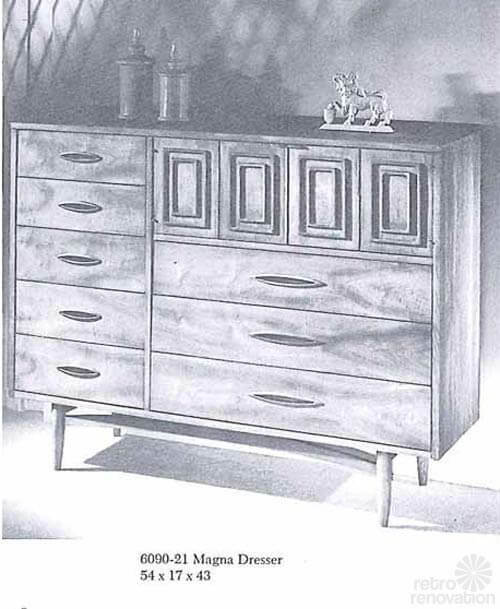 I believe that they have completely restored/refinished pieces, including replacing ruined veneer, etc. It can be done. It’s not something I could undertake, as I have 2 young children constantly underfoot and no basement or garage to serve as workspace, but maybe someone else could. 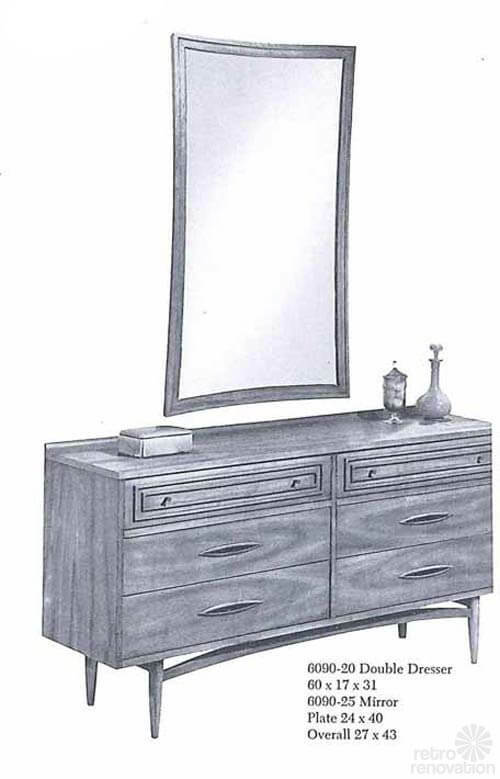 We have 2 of the non-commode nightstands and they are obviously victims of a DIYer who attempted to stain them cherry? I would love to have them refinished, but I don’t currently have the budget to put them into the hands of a professional. The Brasilia Connection people are still in business; we bought our dining room set from them. They are awesome to deal with too; they are so congenial. 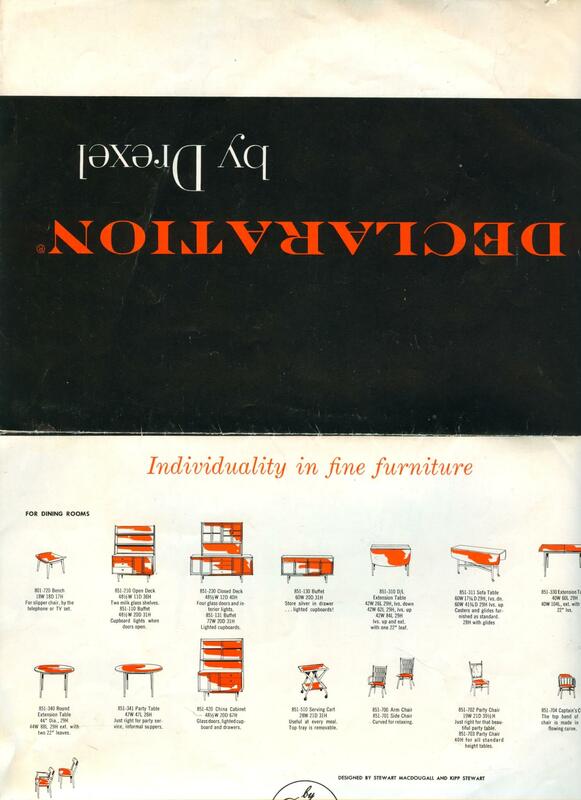 Brasilia is fantastic furniture! It’s really built well. 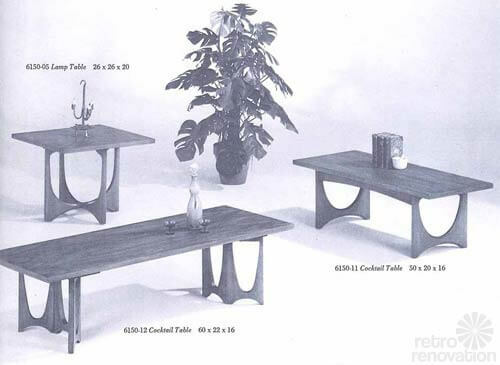 I too am very interested in refinishing…I have a Brasilia rounded square dining table that one of my lovely kitty cats threw up on. Needless to say the top should be sanded down a bit and refinished. Because of the top being veneer…I’m terrified to sand at all. Has anyone done this??? Advice? I work with Broyhill now. 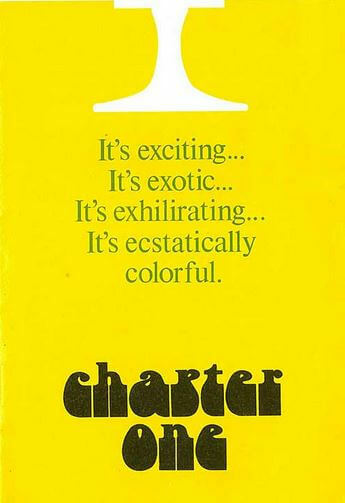 I’ve been in the home furnishings business for 44 years. Take .0000 steel wool and a very creamy furniture polish; rub the steel wool wet with the polish, following the grain of the veneer. Take it down to the point where the stains are gone, and refinish. This process is better than sanding, and removing too much veneer. Thanks Mike! I will give that a whirl! Hi, Max. 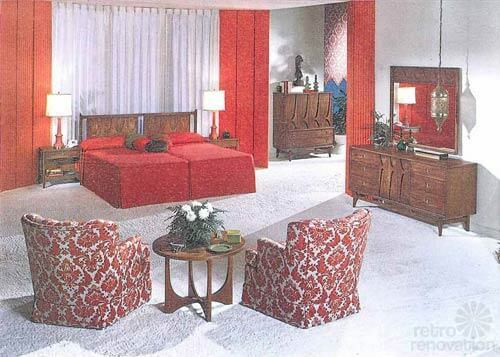 I just recently found a Brasilia bedroom set at a thrift shop. They were in pretty good shape except the tops. I completely stripped them, sanded ,stained and finished with satin Tung oil. They are an absolute perfect match and it was relatively easy. I custom mixed the stain. If you’d like I could send pics if you tell me where to send them. Good luck. 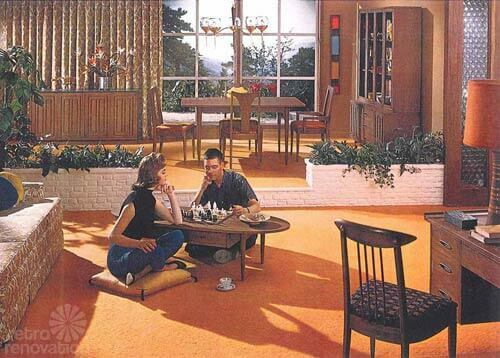 I have the dining room set in the first photo. I have seen it called Emphasis too. Does anyone know exactly which collection it belonged to? 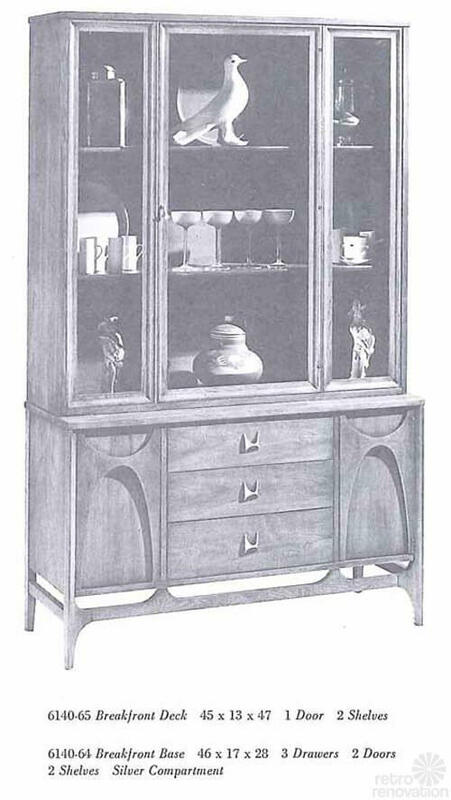 I am looking for a sideboard/buffet and have seen it called lots of things! 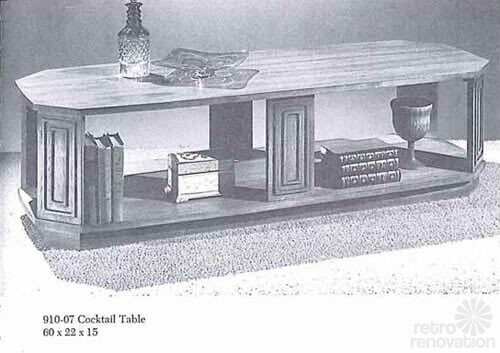 Hi – I realize your post is from some time ago…but I was wondering if you found the Broyhill Sculptra buffet piece? I have one – the one with the slate top – and just wondered what an approximate value may be. Did you find one for a decent price? I am considering parting with mine (from 1967), but can’t decide. It’s in great shape! 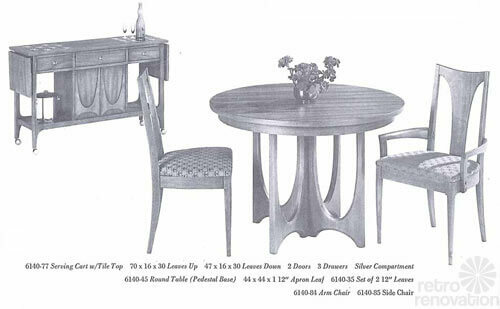 Picked up the Brasilia dining table, six chairs (simple back style) buffet and china cabinet this summer for a steal! 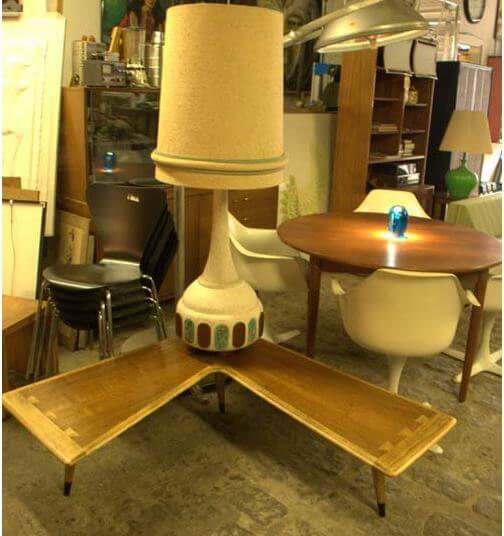 Would love to see how others decorate around these pieces – I’m not a mid-century purist and mixing it with other pieces feels like a challenge to me. Currently using the china cabinet in the office doubling as a bookshelf. Am I betraying the line? 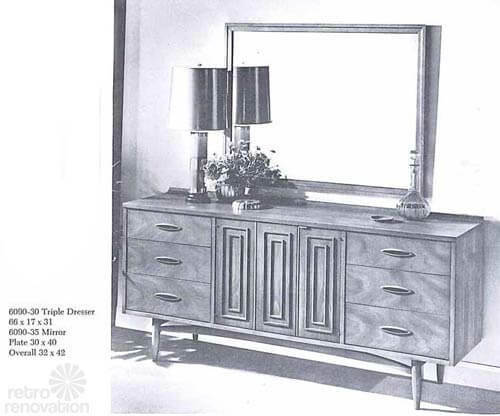 Can I please trade in my current Broyhill Fontana bedroom set for the Broyhill Sculptura set? Please, pretty please? 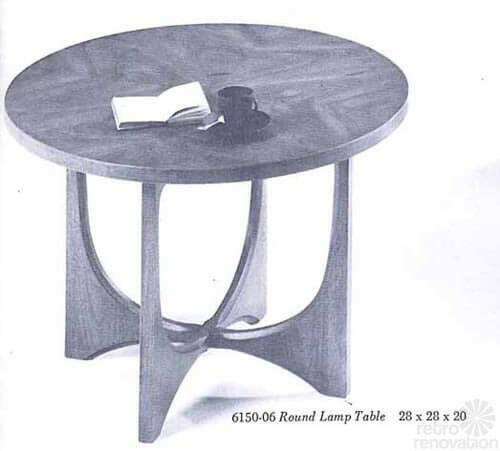 And…maybe at some point in the future someone will comb Craigslist looking for Broyhill Fontana??!! 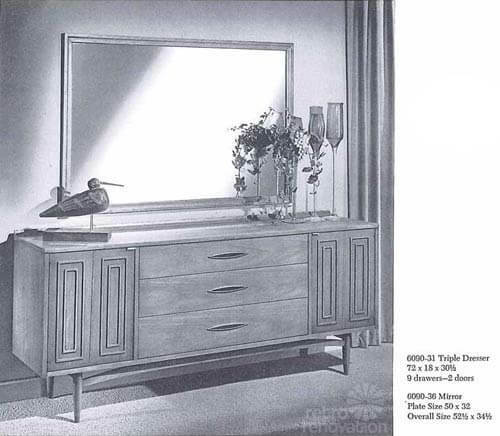 LOL, we have in our guest room DH’s old suite which is Broyhill Fontana. 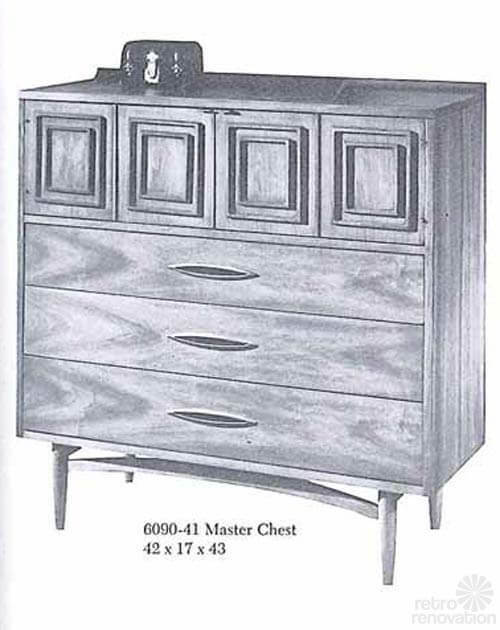 We could sure use a chest of drawers, and, yes, I do look on CL for one. We stayed at a ski lodge and the room was outfitted in Fontana, LOL. 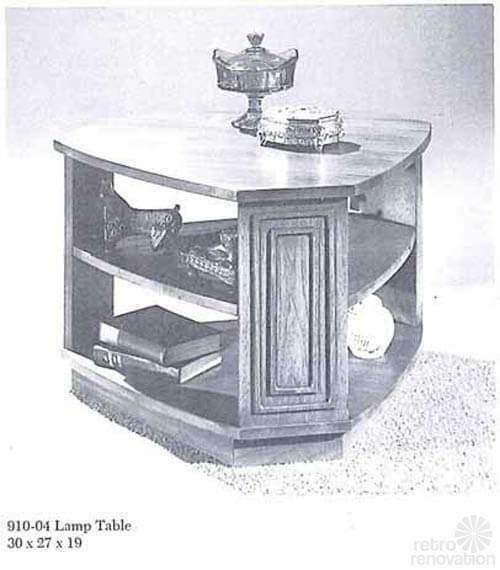 Sorry, I only have the bed, nightstand and armoir. Some day I’ll get around to selling them.